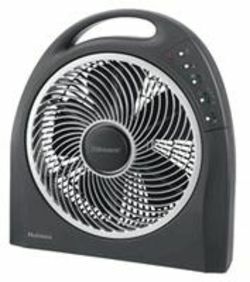 This Box Fan Wireless spy camera is one that is easy to use covertly hidden or even right out in the open. This spy camera looks like an authentic air purifier and also has many feature not found on even the newest spy cameras like 2-Way Talk, Cloud Networking, Covert Access Point, WiFi and Remotely programming. Another great reason why this works is because people have no idea they are being watched. This kind of camera looks nothing like a camera, and it could be hidden anywhere. This is what makes this device so popular and so valuable. This is a great choice for any employer who has gotten ripped off in the past and does not want to get ripped off anymore and any spouse wanting to catch there cheating "better half". This device can also be installed in a matter of seconds. This hidden camera is the way to go. This camera will far surpass the quality and operations of any other camera you'll buy. Plus, with our 1 year warranty use have nothing to lose. We offer live US tech support within our normal business hours. We can help you set it up and troubleshoot any problem. Ease of Use: Very easy setup for internet viewing and playback.